Lately I've really been into wearing a coloured liner on my bottom lash line. I think it's really fun for Summer, as it can add a pop of colour to your face. I've been using NARS's Larger Than Life Long-Wear Eyeliner ($28 CDN) in the shade Campo De'Fiori for a subtle yet very pretty look. "NARS Larger Than Life Long-Wear Eyeliner takes liner to the next level. Designed with a retractable applicator and built-in sharpener, this liner has a rich, creamy color that glides on smoothly with a completely budge-proof finish. Its incomparable wear lasts for 12 hours without smearing or caking." Campo De'Fiori is described as an antiqued brass, and I love pairing it with with golden shadows. I love wearing a gold liner on the bottom lash line instead of a white liner, since I sometimes find that white can look too stark. This shade has a slightly metallic sheen to it, which I find really pretty. 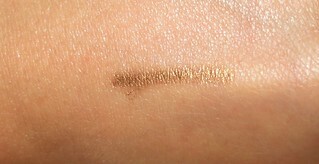 This Larger Than Life Long-Wear Eyeliner formula is very long lasting, and stays on my eyes all day long. I normally only wear this on my lower lash line, since I love wearing black liquid liner on my upper lash line. This formula from NARS can be a little bit hard, but it's still easy to apply. I actually like the harder formula because the eyeliner stick doesn't smudge or break. This formula doesn't irritate my eyes, and it removes easily with makeup remover. 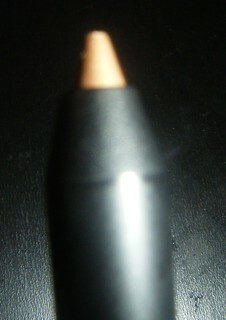 NARS' eye pencils are quite pricey, but the quality is amazing, and I think they are worth the splurge. If you've been looking for a golden eyeliner, definitely check out Campo De'Fiori. Please let me know if you've tried this shade before, and what your favourite eyeliners are in a comment below!